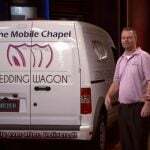 Brothers Myles Walters and Tyson Walters of Orange County, California are the inventors of Shed Defender. It’s a lightweight onesie for dogs that keeps dogs from shedding their hair everywhere they go. So when the dog leaves the sofa or the back seat of the car, there’s no hair to vacuum or use a lint roller on – it’s in the suit. 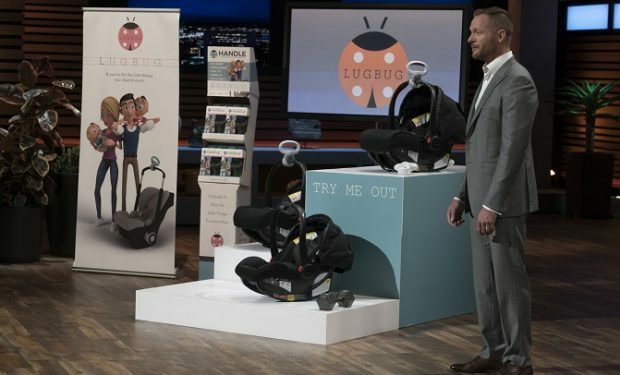 When the brothers pitch their business on Shark Tank (October 14), consumer product super shark Lori Greiner compares them to long johns. The Walters brothers are seeking an investment of $250,000 in exchange for 10 percent equity. 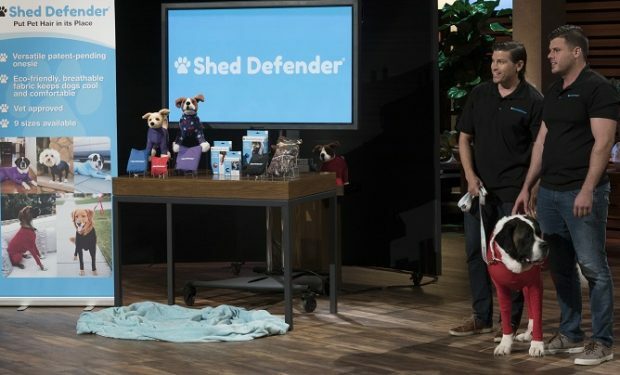 Not only is the patent-pending Shed Defender made of an eco-friendly fabric so the dog can continue to shed naturally, but it’s also used as an alternative to medical cones that dogs need to wear after surgery. The company also claims that the suit can help reduce anxiety. The snug fit applies a gentle pressure, making dogs feel more calm, confident and secure. There’s a zipper that runs along the bottom of the suit, which the human will need to use if/when the dog needs a potty break. Below is a tutorial video. Shed Defenders are also available via Chewy and have excellent prices on Amazon.